The round sun/earth pincushion is very nicely done...it is a favorite of mine...what is the base? A jar lid? 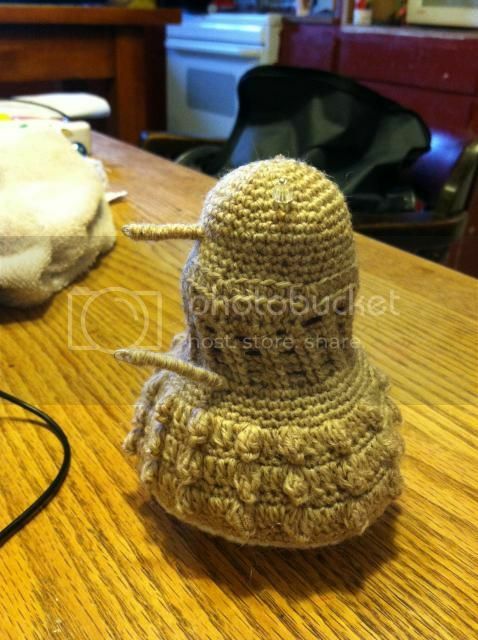 This is the pincushion I sent to adrienne_bowers...she has bunnies so it seemed fitting to make this for her. She can't post pics right now, but maybe she will get a shot of his cute bunny tail this weekend! I posted it as a separate thread earlier this week so some of you have already seen him! Hope and love to you and your family, adrienne! He is adorable and I love the carrot needle book! That bunny is adorable, and the carrot needlebook is great! I got my package! I just love getting packages in the post...especially when they're full of handmade goodies! And thanks for the nice replies about the sunset pincushion I made. It's all felt and just has a weight sewn in the bottom...It turned out better than I expected! Way to go crafty folk!! I'm glad you love it. I roamed through my local thrift shop...mostly disappointing, but I love the little pitcher. You also had mentioned chevrons so hehe....I snuck in a bit of chevronish fabric. It also echos my old ratty original tomato pincushion. Which now has been completely retired....I have the world to use! And the bunny is adorable. So many great ideas. The armchair pincushion is great. I almost made one of those! I would so do this again! 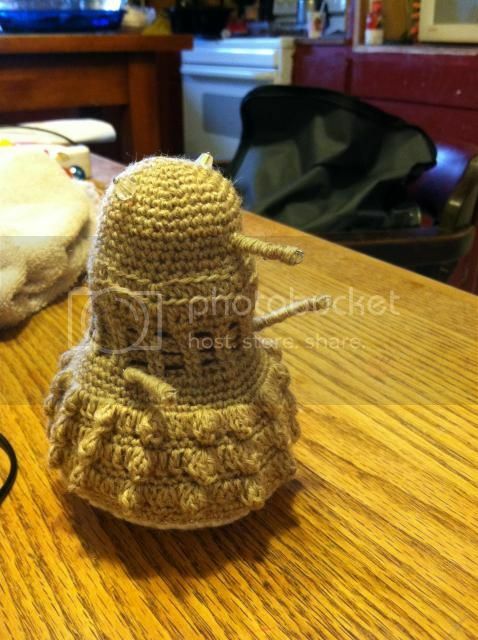 Here is the pincushion Smeddley sent to me! 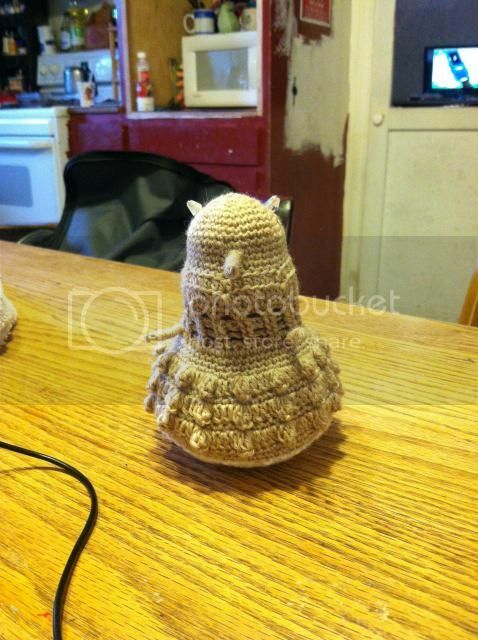 It's a super cute Dalek. I love him, thanks so much Smeddley!